There are many styles of roof – what shingles suit yours? When you’re considering a roof replacement, you probably have a lot of questions. This is not a small, inexpensive fix to your home. It’s the replacement of a very important part of your home. Your roof is important not only for the safety of the structure but the overall look of the home as well. Asking and getting answers to your questions before you install your new roof will help you feel more secure in your decision. 1. Do I Need to Replace My Roof? Do you need a roof repair or a roof replacement? If your problems are just with a few loose shingles and nothing is wrong with the roof decking, you may only require a roof repair. The same goes for moss and algae-covered roofs. You might not like the look, but the shingles and decking could be fine. If you notice curving and cracking on many shingles, shingle granules are loosening and moving into the gutters, or your actual roof is sinking in places, you need to look at a roof replacement. 2. How Long Will My New Roof Last? 3. How Much Will a New Roof Cost? The cost of your new roof varies greatly depending on the material that you choose. For instance, slate and tile cost a lot more than asphalt shingles. Though they add a unique look to your roof, some of these more expensive shingles are also less durable than asphalt or metal roofs, and you need to factor this into the cost as well. Talk with several different roofing contractors to get an estimate for the work, which will also depend on the size and complexity of the roofing job. If you have a choice between cheaper and more durable and expensive shingles, make sure that you get the highest quality that you can afford. It will save you headaches and repair and replacement costs later. Different home colors and the surrounding environment help determine what color your roof should be. 4. What Color or Style of Shingles Suits My Home? When you’re looking at your home, consider what shingles might suit it aesthetically in addition to thinking about the cost and longevity of the shingles. Wood shingles give a cabin feel to the home, while tile looks more Mediterranean. 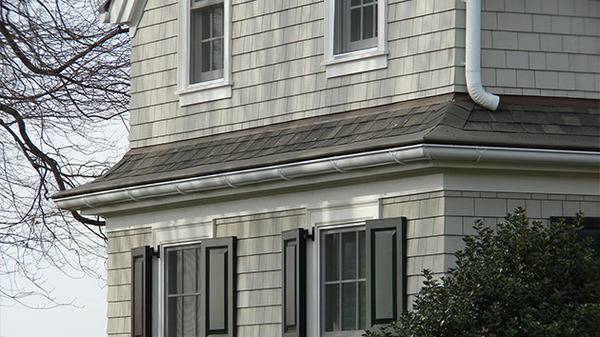 Slate roofs are pricey but add a high-end look to your house. 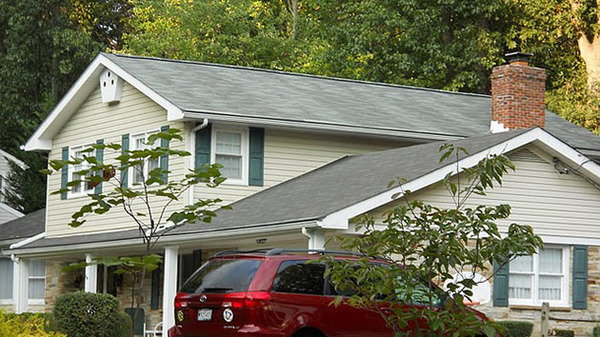 The sturdy, dependable asphalt shingle is the choice of most homeowners even today. Within that type of shingle, you’ll also find many color variations and patterns from which to choose. Look at shingles the way you would look at painting your home. Make sure that your roofline complements your home color, style, and surroundings. 5. Do I Need Extra Features? When you’re looking at shingles, there are a few extras to consider. For instance, you might be very motivated to save energy by reflecting light from your roof. In this case, you could consider a whiter, light-reflective shingle. You could live in a place where it is often wet and algae grows easily on the roof. In that case, you could choose shingles that discourage algae growth. As you look at your shingle options, remember that these features can make life easier, and think about whether or not they are appropriate for your home. At Harry Helmet, we specialize in protecting your roof. When you’re looking for a roof replacement, connect with us to learn more. Schedule a free estimate today.